Tracey Hockings is one busy lady. 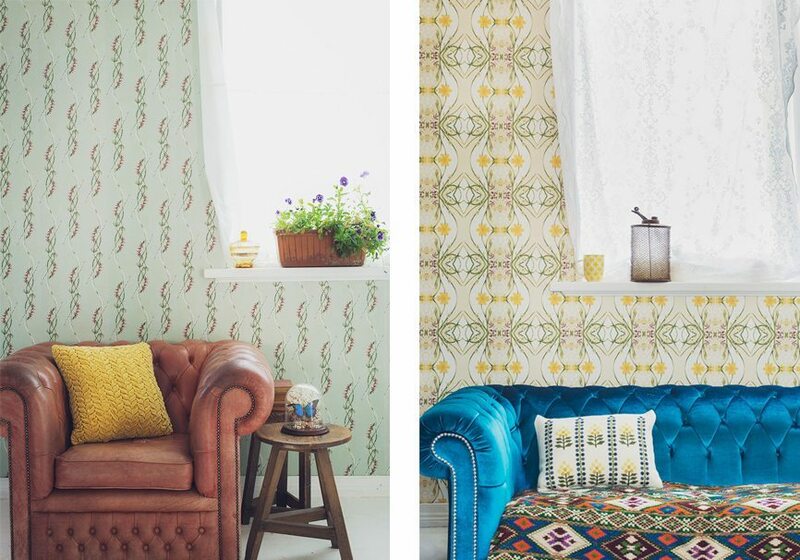 The owner and head designer of Lazybones was kind enough to shed some light on their expansion their new botanical wallpaper collection and what the future holds. 1. May you give us a brief history of Lazybones up until now? Lazybones started life as a sleepwear company in 2000 in Sydney Australia. 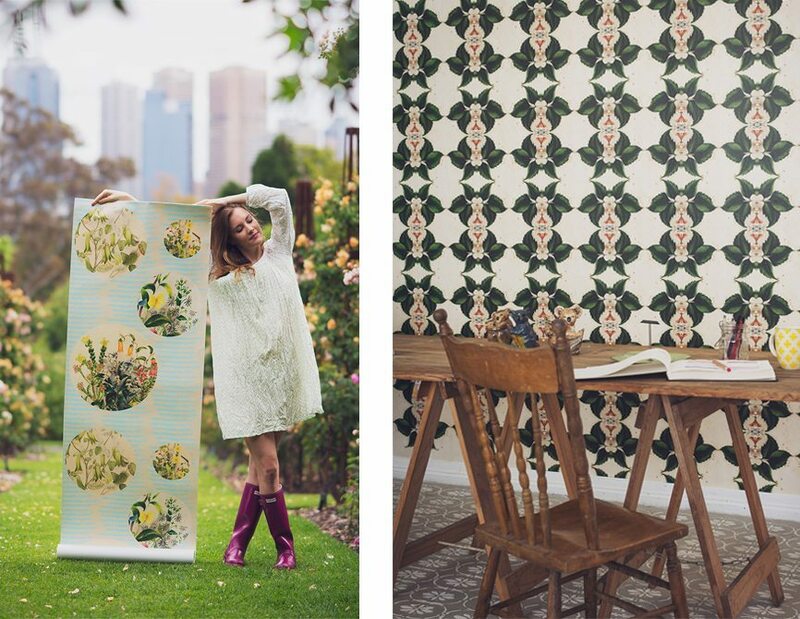 Soon after we moved to the beautiful northern NSW town of Byron Bay and sleepwear had to make room for clothing, bedding and now ceramics and wallpaper. Time passed and we needed a larger space so now operate out of a series of purpose built sheds based on owner and head designer, Tracey Hocking’s 40 acre country property. Now most of the lazybones team sit at their desks and look out over paddocks and rolling hills that lead to the Nightcap ranges. It is a serene setting for a thriving business. 2. 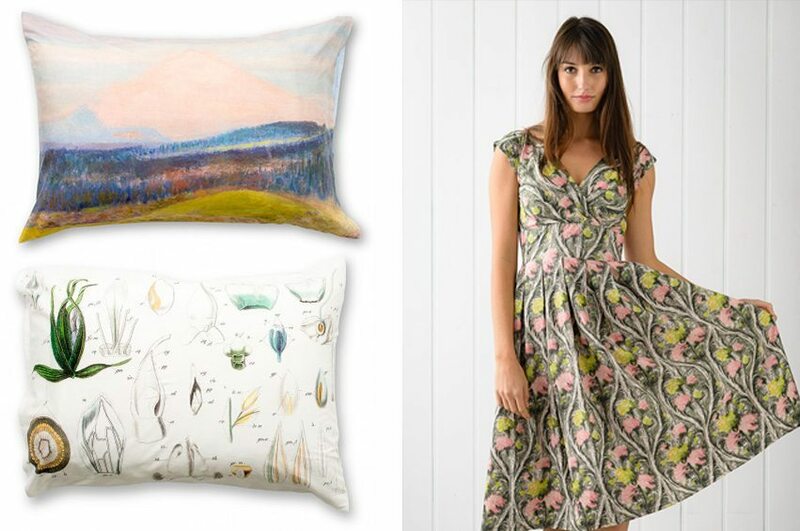 How does living and working in the Byron Hinterland effect and inspire the creation of Lazybones’ products? In so many ways. I am more in love with the natural world every day. My life is so hectic and the working hours are long so being in such an incredibly beautiful place is not only inspiring but also uplifting and almost magical. I hope this doesn’t sound too “Byron” but I am captivated every day by the beauty and the amazing creatures I share this space with. I cannot imagine it every being boring. And that is only the natural world. The people are equally wonderful. 3. Lazybones’ aesthetic is one of almost a contemporary nostalgia. How do you go about creating this look consistently? Our mantra is Modern Vintage Modern Vintage so we always refer everything we do through this filter. I am constantly inspired by ideas and love to take the prints, etc from the past and bring them back to life again but maybe in a slightly different way. I love Modern and I love Vintage. 4. What was your motive for wanting to create a wallpaper collection? The very clever visionary, Rachel O’Brien from The Royal Botanic Gardens. She encouraged me and I am so glad she did. 5. What drew you to the work of Euphemia Henderson? I loved her story. It was so sad but so typical of the experience of many women from her era. She found a form of freedom in being able to go out and paint nature. There were not many freedoms available to her at that time. 6. What’s next for Lazybones? More wallpaper of course. Getting time for designing is not as easy any more but we are working on a new small range with the clever Milton and King boys. And more of just about everything really. I spend a lot of time travelling between the US and Australia and can see the market for all things lazybones growing rapidly.